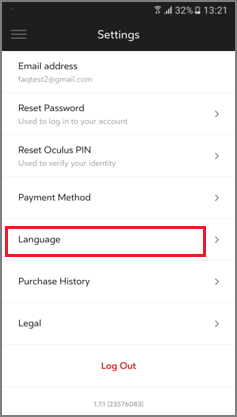 You can change the language in Oculus app in Galaxy S7. 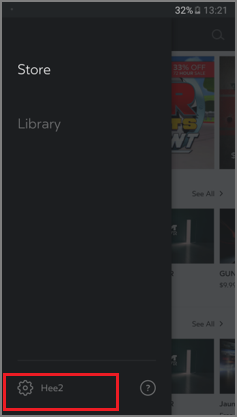 Disassemble the device, run Oculus app and tap the settings. 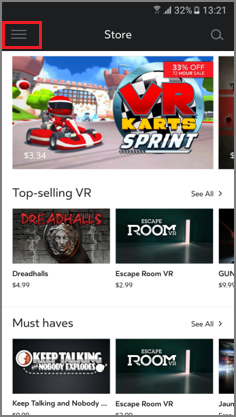 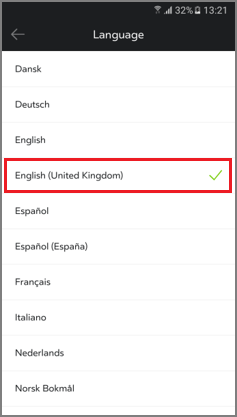 The selected language is only applied to the Oculus Store app and the Gear VR, not to the language displayed on the mobile device. 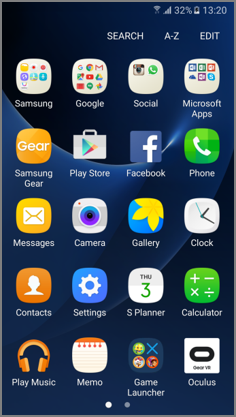 5) Select the language which want and tap ">"
Gear VR: How do I attach a mobile device to my Samsung Gear VR?